Felt is a wonderful material for catering to your crafting needs. Besides being inexpensive, it’s very easy to work with it. Felt flowers make admirable room decorations and are great as gifting options too. Take your pick from the ideas enlisted here. 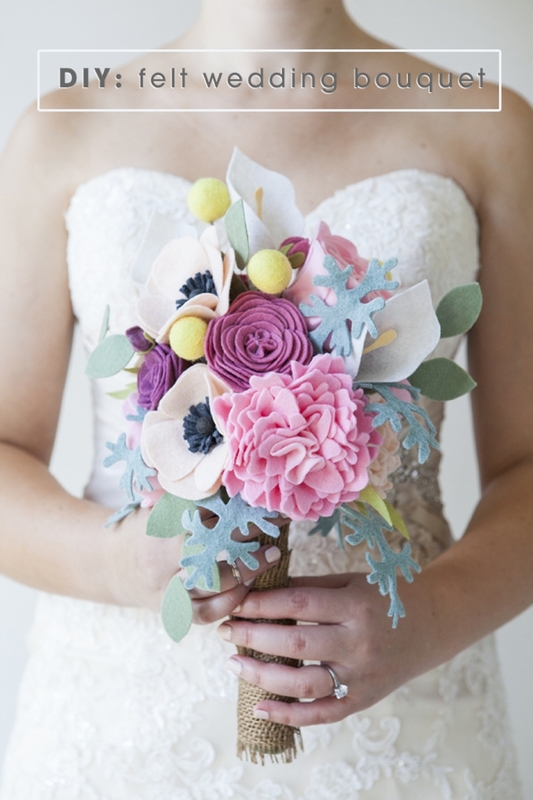 Use a variety of colored felts to make this adorable bouquet. 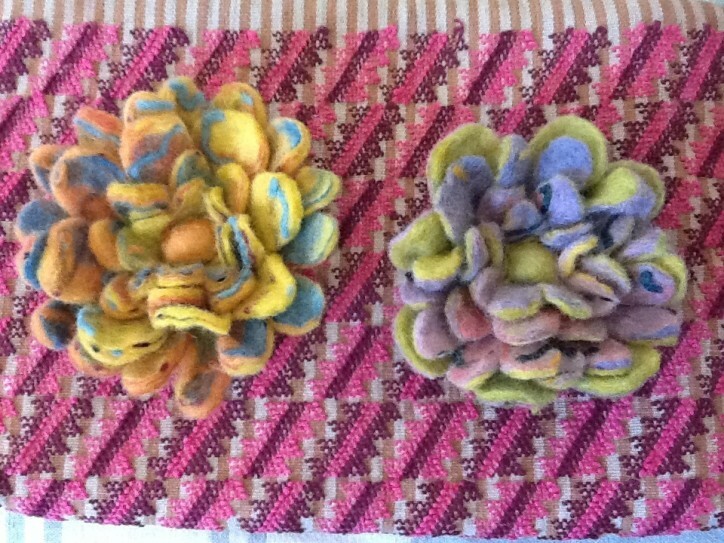 You can stick them to a headband to make a floral hair accessory. 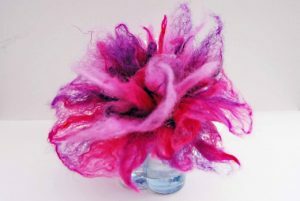 They will also look good as gift toppers. 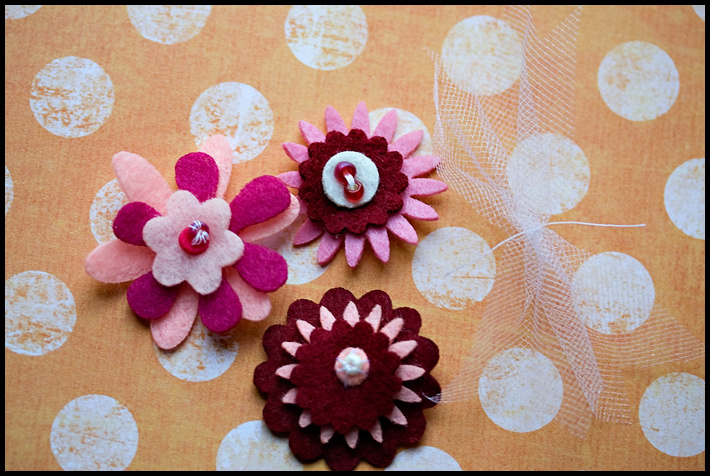 The step by step instructions given here walk you through the making of five different types of felt flowers. 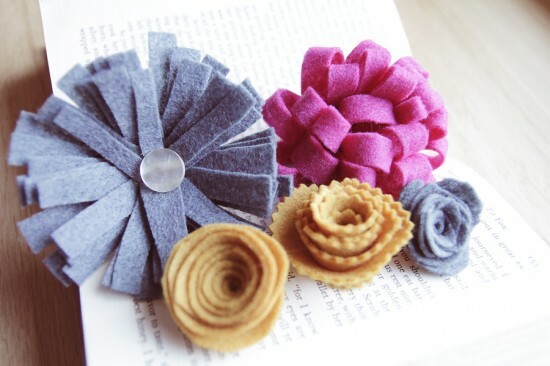 These felt flowers look fabulous albeit very simple to make. Give any outfit a chic makeover with these gems. 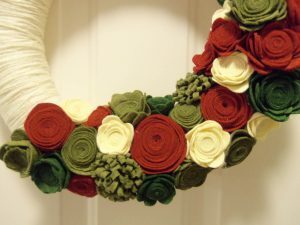 Scratching your head at the last minute for a homemade baby gift? Zero in on this quick project. 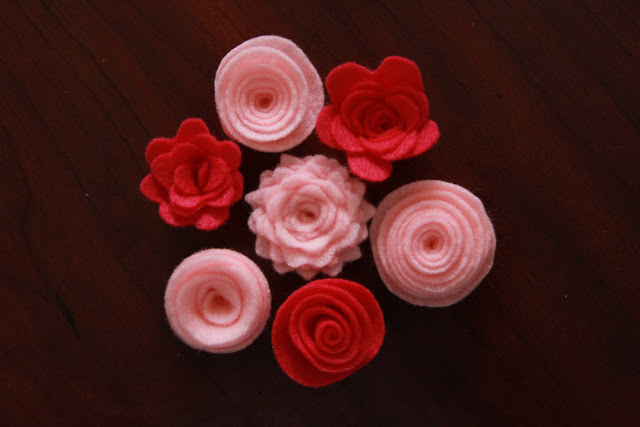 You will fall in love with this adorable collection of felt flowers. Once you get started with one, you will just get addicted to making these cute creations. They look great on canvas bags, corsages and baby shoes. 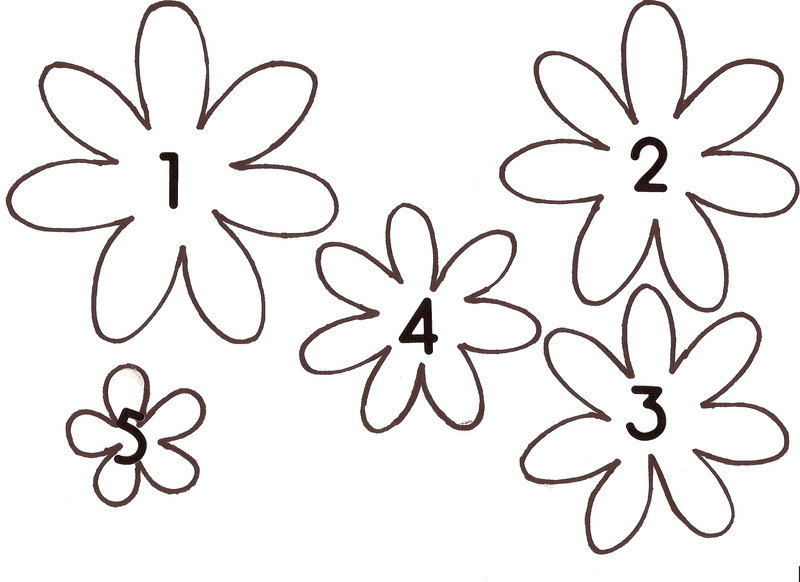 Daisies look cute for spring celebrations. You can make felt daisies in a host of bright colors to bring on the bloomy season. 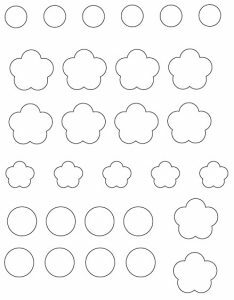 Impressive though they may look, the project requires a good deal of intricate cutting. 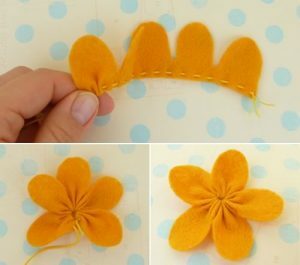 Learn to make this pretty felt flower with the help of the given instructions. 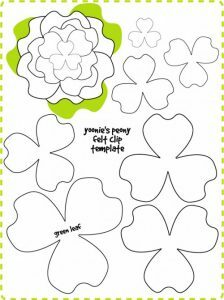 They add a fresh dimension to layout, card or mini album decorations. 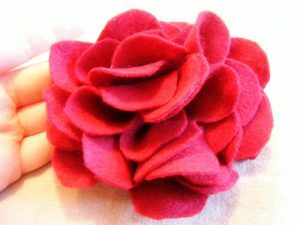 Being made of felt, the flower does not fray easily and is of a fab dimension and texture. 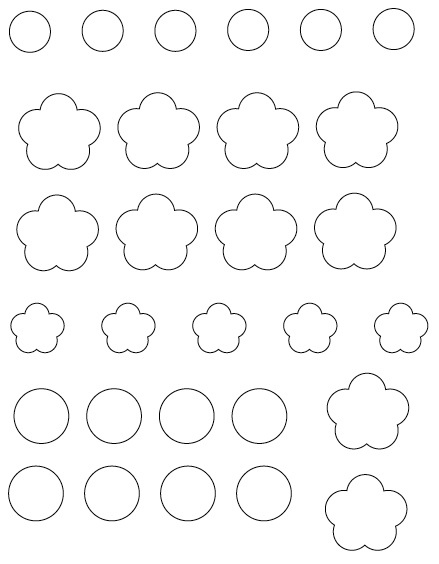 In Chinese tradition, cherry blossoms are the symbols of love. 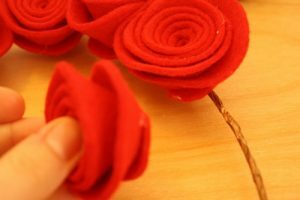 Setting the red blooms in your house is believed to foster good fortune and boost your love life. That should give you ample reasons to try your hand at making this wonder in felt. 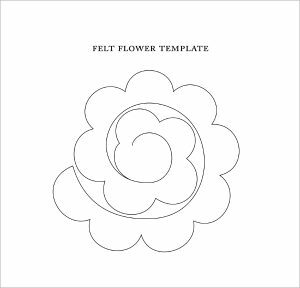 This cute little flower demands a considerable amount of your valuable time, but once you are finished with the final touches, bet you can’t keep your eyes off it. 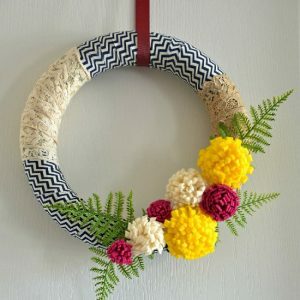 You will be surprised to know that for making this attractive wreath you don’t need to spend a penny from your pocket as it can be made easily by rummaging into your craft stash. Isn’t it a beauty? Christmas is perhaps, the best time to show off your skills in craft and what better way to do that in style than giving shape to this exotic set of felt flowers? 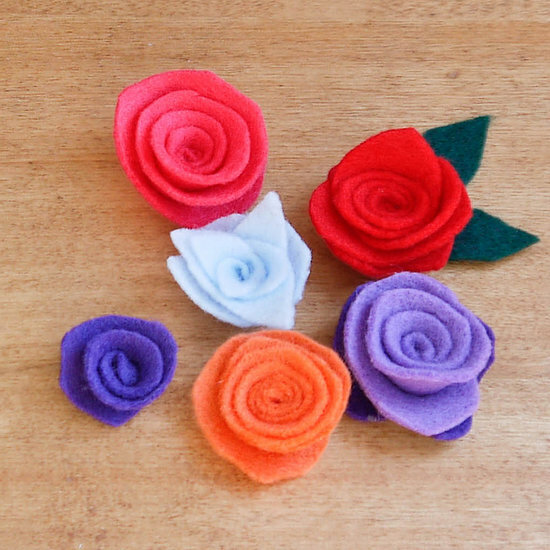 You can use this template to make your own felt flower. 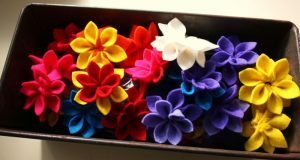 It will look gaudy on hair clips and can adorn almost every accessory of your choice. 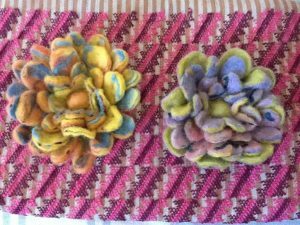 When sewn into a handmade burlap bag, it shows how eco-friendly your creations are. 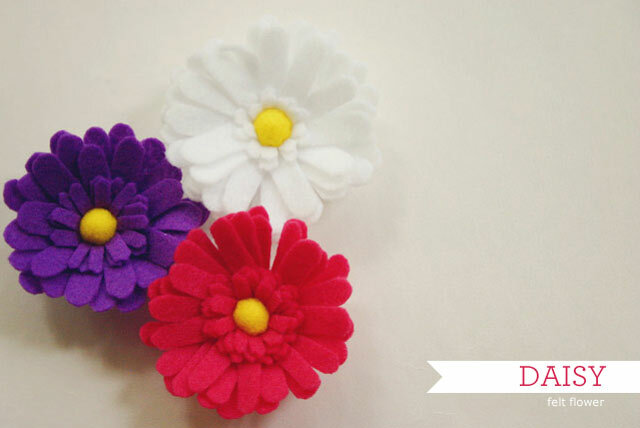 Give a pop of color to you Easter decorations with these bright felt flowers. 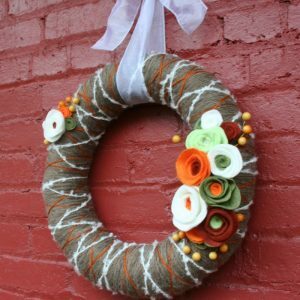 The versatile blossoms look good on almost everything, starting from wreaths and ending in hair pins. Make this rugged looking burlap pillow and decorate it with an oversized felt flower to add a touch of sophistication. 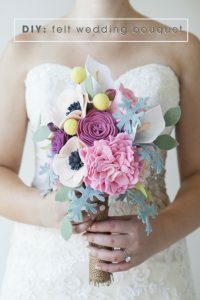 It is every girl’s wish to hold a gorgeous bouquet on their wedding. 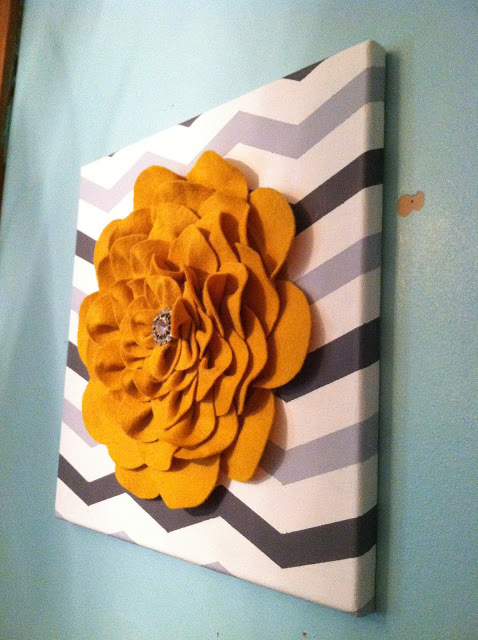 This glam piece of craft is just perfect for the lovely bride. This pretty felt bloom will look great when pinned to a sweater or clipped to a baby’s hair. In this tutorial, you will get to learn two ways of making stylish felt blossoms. 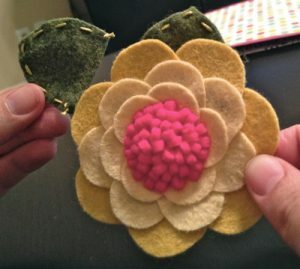 Follow the instructions given here to put together a cute felt blossom. 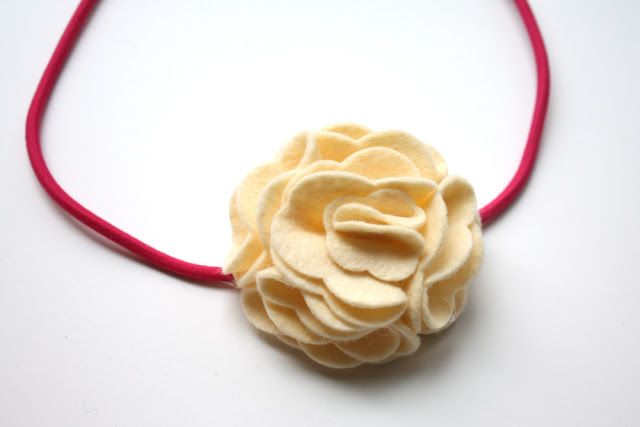 A little girl’s tiny head looks pretty with this bloomy bling factor. 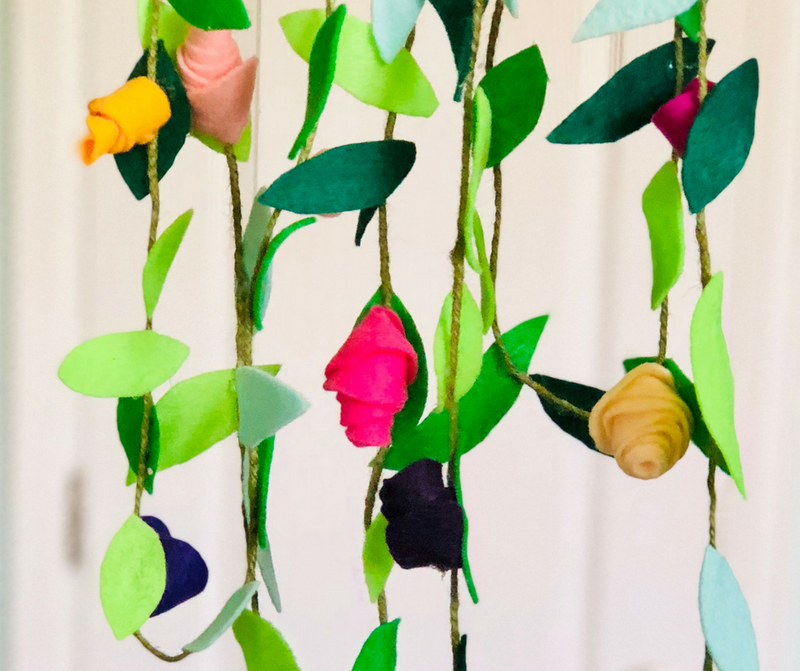 This DIY is ideal for babies. 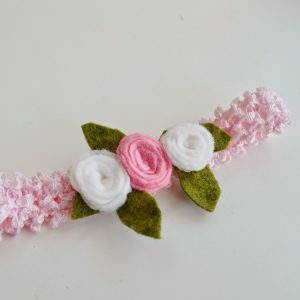 However, if the ribbon that you are using is super stretchy, it might fit a preschooler too. These pretty things look chic when glued to a barrette. You can even sew them to a scarf or sweater for a glam look. 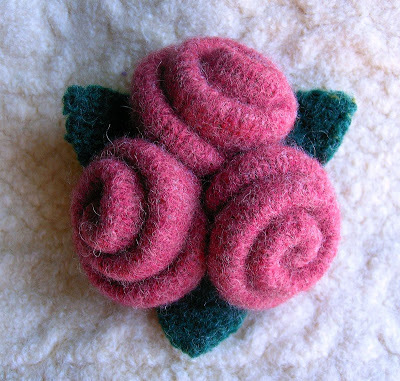 Put your colorful scraps of felted wool, fleece or any brightly colored fabric to good use by making this exotic rose triplet. 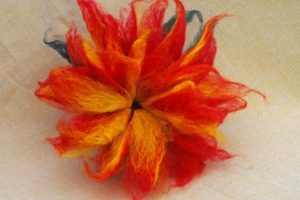 The brooch looks lovely on sweaters, jackets, hats and handbags. 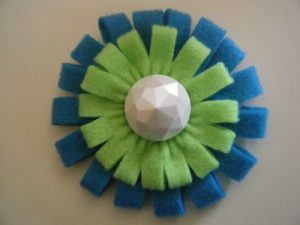 You will have a blast with this fun and simple felt flower project. Click a selfie flaunting your handmade hair accessory and upload on social networking sites for an abundance of likes. 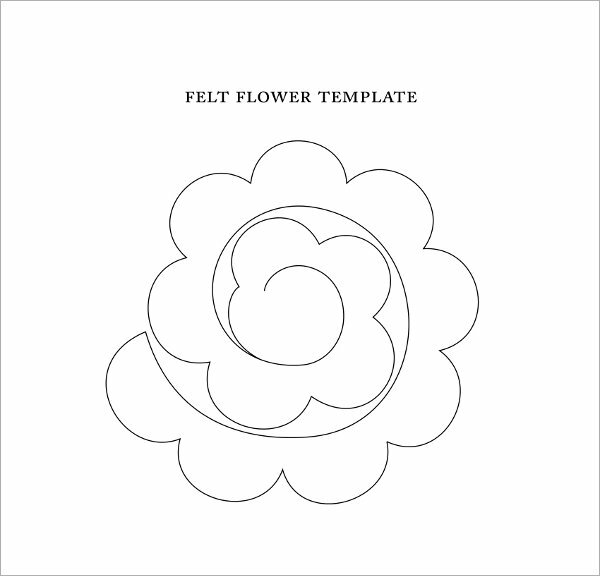 The blueprint given here can be printed to give shape to a stunning felt bloom. 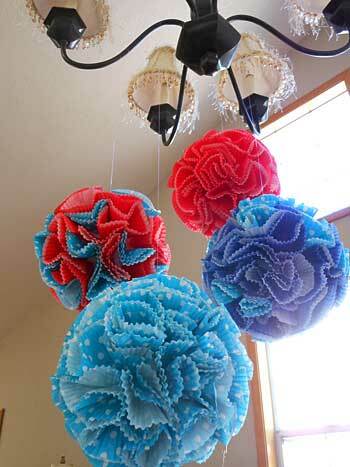 It is a very cheap and easy DIY. 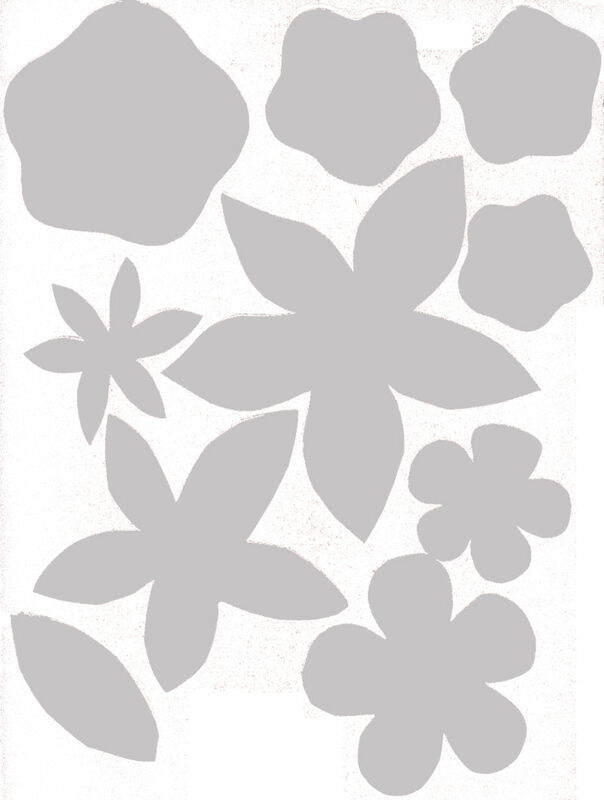 The blossom does not fray or lose shape for a considerably long time. Wondering what to gift your mom on Mother’s Day? These attractive pins could be your best bet in this regard. The dahlia comes with a secret pocket at its back that can accommodate a message or picture for your dear mom. Making this red bloom is easy. Hence, kids can also be made a part of this enjoyable activity. 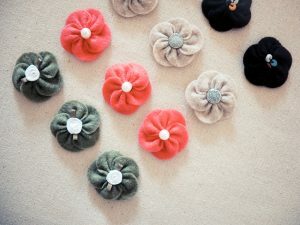 It is not really an absolute necessity to make it fully felted to enable it to be used as a pin. 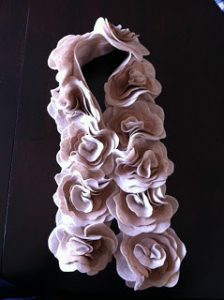 Look gorgeous in winter with this sophisticated scarf adorning your neck. 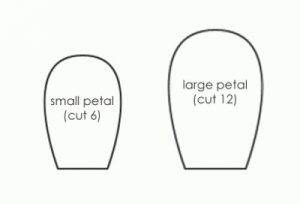 The toughest part of this craft is to get the cuttings right. 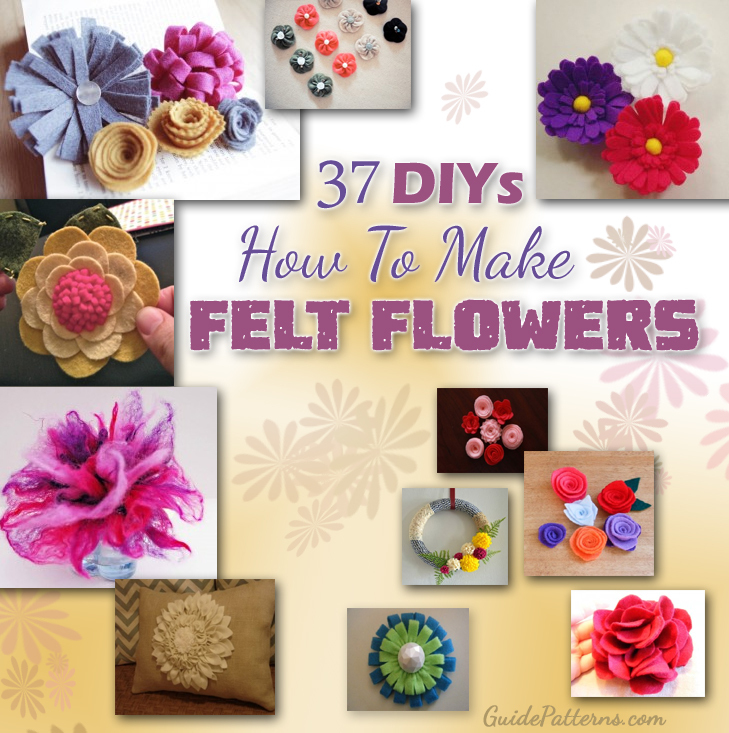 With this set of instructions, you will get to know the versatility of felt flowers. 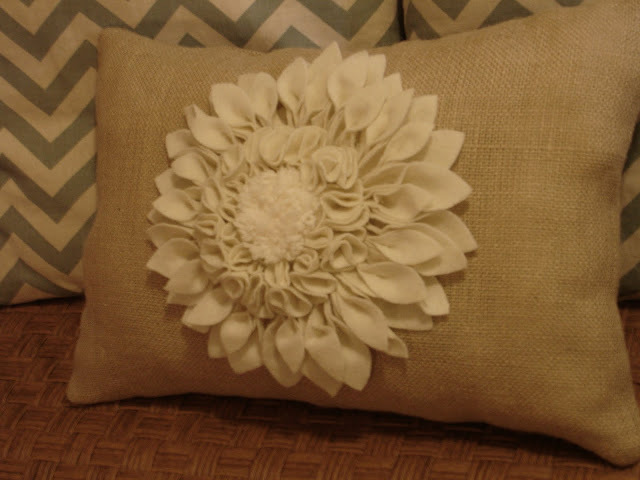 Won’t it be fun to have the company of this floral pillow while sleeping? This splendid wreath would be a great way to bring on the holiday celebrations. 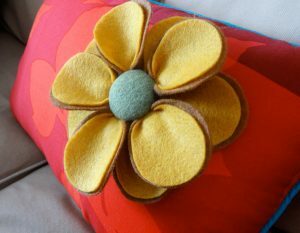 You can use felt in your own choice of colors to make the edgy item of décor. 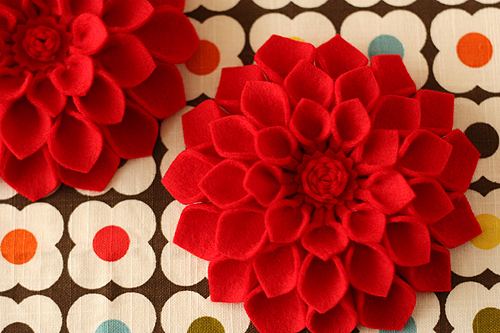 Rolled felt blooms in red are stunning to behold. When fitted together to form a heart shaped wreath, they can woo your Valentine with elan! 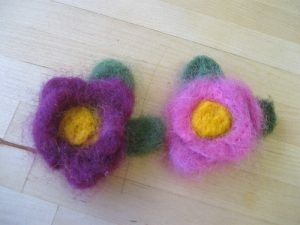 By now, you must be having a sound knowledge base of making sizzling felt flowers on your own. The tutorials will be your perfect crafting guide in your endeavors. 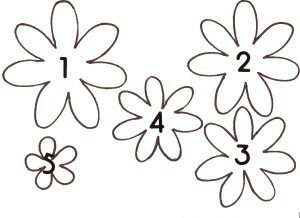 Your dresses, hair, home will never look the same once you get the flowers done. 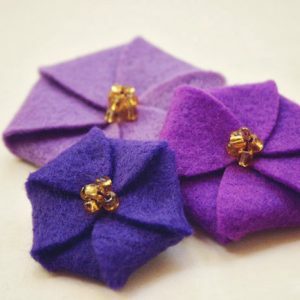 Here’s wishing you loads of luck in your felt outing.